In 1883, Nobel laureate John Strutt, a physicist and the third Baron Rayleigh, put forward a radical idea. He had been studying the mechanics of pelican flight and proposed that the birds drew energy from differentials in wind speed, allowing them to remain aloft without beating a wing. 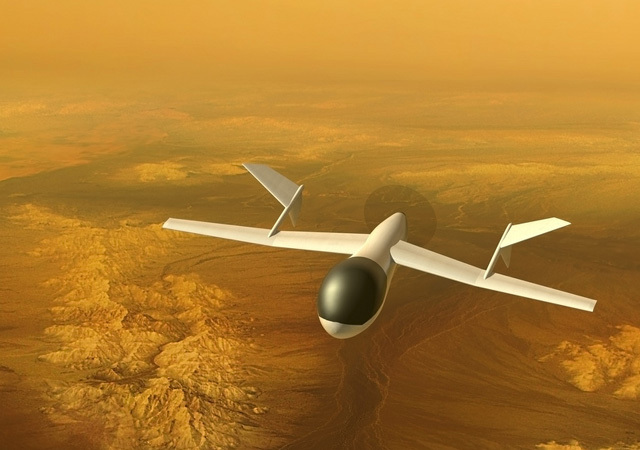 By taking advantage of this technique (since named dynamic soaring), a craft could, in theory, fly with little or no fuel for weeks, months, or even years. For decades, work on dynamic soaring progressed slowly. Radio-control glider operators took advantage of the technique to extend their flights, but scientists didn’t know if they could apply it to larger craft. Then in 2006, a team from the U.S. Air Force and NASA flew a modified L-23 Blanik sailplane over Edwards Air Force Base, proving that a large craft is capable of dynamic soaring maneuvers. Now a team at Lehigh University, led by engineering professor Joachim Grenestedt, is refining the concept. Working with funds from their school and the National Science Foundation, the team is developing a large unmanned vehicle designed for perpetual flight. They recently completed a 21-foot-long wing of carbon-fiber composite designed to fly in jet streams above 20,000 feet and able to withstand speeds of up to 300 mph and forces of up to 20 Gs (dynamic soaring can be tough on a wing). Later this year, the team will carry out low-altitude tests with a model sailplane. If all goes well, Grenestedt says, he will aim his craft, called the JetStreamer, into the jet stream, where winds can reach 200 mph. Once the constraint of engines and fuel disappear, flight becomes something entirely different. In the future, dynamically soaring aircraft could become observation platforms, used to record weather or wildlife data. They could also serve as communication relays, carrying television or cellphone signals. They could even travel great distances at great speed. Philip Richardson, an oceanographer at Woods Hole Oceanographic Institution, recently proposed a dynamically soaring robotic albatross that could cross oceans at 200 mph. It’s no pelican, but Lord Rayleigh would no doubt be impressed. How it works: Dynamic soaring relies on differentials in wind speed. The glider rises through still air at low altitude, to a higher, windy level, facing into the wind. The glider maintains its ground speed as it slices across the boundary. The headwind gives the glider a higher airspeed and generates more lift as it moves across the wings. Turning, the glider soars downwind, gaining distance as it goes. Dropping out of the windy layer, the glider turns upwind to repeat the maneuver again. As long as there is a difference in wind speeds, the cycle can repeat indefinitely. Written by David Hambling. Originally appeared in the July 2013 issue of Popular Science. See the rest of the magazine here.